Made several of these to give as thank you gifts. The Snowman Nugget has vinyl for the eyes, nose, mouth, & buttons. These are so easy to make. Saw this guy on the Internet somewhere. Couldn't resist making them. 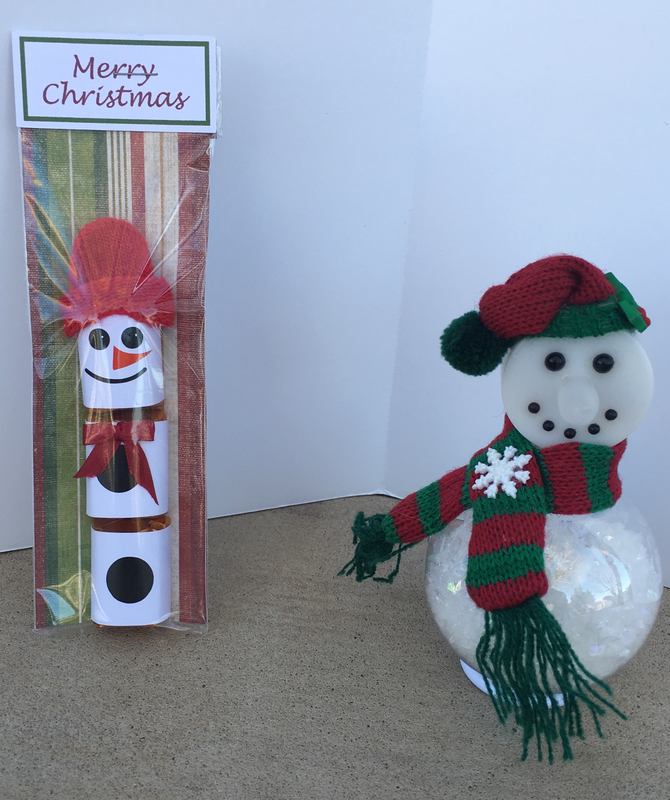 The other snowman is made with a plastic ornament for the body and the head is a tea light which can be turned on. @Penny - oh my gosh so cute, love it!!! @Liz_A Thank you. I love the nugget snowman. My hubby asked me where I purchased it from. He said they looked like they came from a store. He was surprised to know that I made them. He helped me make a few last night. @Penny - that little hat is just so adorable and totally makes the project . Where on earth did you get them?? @Liz_A The hat on the plastic ornament tea light is from Consumer Crafts. The hat and scarfs actually where too small. The hats on the nugget snowmen are finger cut off of glovers. So easy compared to the ones that were too small. @Penny - how clever, thank you!!! Great idea. I’m always looking for ideas for students. I’ll save this one! Thanks. Love the cracker snowman. I think he is adorable.